Our mission is to be the premier source of electromechanical products through design, manufacturing, marketing, distribution, and technical support. Our quality policy is to meet customer expectations by providing high quality products, on time, through design, supplier selection, manufacturing, and continuous improvement. 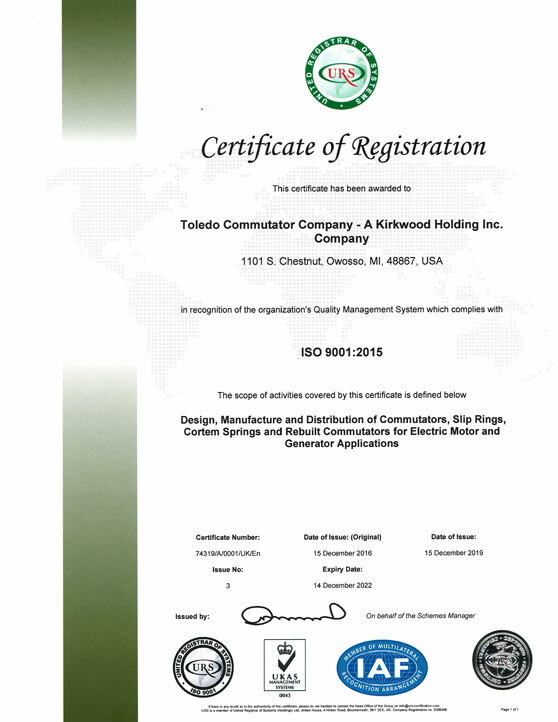 As part of our dedication to responsible manufacturing, Toledo Commutator Company is ITAR certified under Kirkwood Holding Inc. Click here to view our certification information.